Whether you go for the modern and colorful Mini Cube ($100), the large and traditional Lincoln ($300) or something in between, like the Danville or the Compact Electric ($130) you’ll be adding function and ambiance to any less-than-warm space. My mom actually has one like the Compact Electric and it was quite a hit over the Christmas holiday (the one-button remote couldn’t have been easier). 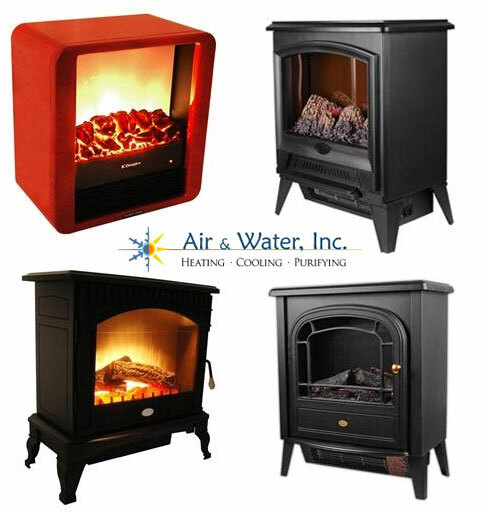 PRIZE: One electric fireplace from Air & Water (choose from the Mini Cube, Lincoln, Danville or Compact Electric). Random.org has chosen a winner and it’s… Annette Nelson (who keeps warm by heating up a rice bag she made from Sew Mama Sew). Congrats! Note: We weren’t paid or perk’d for hosting this giveaway, we just take them on to reward our lovely readers! See our Giveaway FAQs page for more info. Pics from Air & Water. HEAT ME UP! I’d love to get this for my mother. She has wanted a fireplace in her mobile home and this would be just the thing! Heat me up! It’s been cold here too! We’re layering up, cuddling under throw blankets, and snuggling with each other and our puppy! Staying warm with lots of blankets and snuggles from my sweet 7 month old. Whoops hit enter too quick on my other comment…anyways! HEAT ME UP! I’d love this since we don’t have central heat & when it gets cold the house feels colder then outside! We have been staying warm by keeping the heat on at 60 and snuggling on the couch with our dog under blankets!! I’m keeping warm by bundling up and snuggling with my boyfriend. I am near you.. we had the coldest winter also so we have been staying indoors playing board games, drinking hot chocolate and enjoying our brand new baby girl. It’s been quite warm here in South Texas, but to stay warm with out heating the whole house at night we use a heating blanket,. keeps us warm and toasty! My new L.L. Bean fur-lined boots are keeping me warm this winter in chilly philly! I wear leggings underneath of my jeans. Heat me up! I live in SC, so it is really cold one day & t hsirt weather the next. I’ve been staying warm with a jacket my mom got me for christmas from H&M- I love it! HEAT ME UP! We have a wood burning fireplace but it doesn’t reach the other end of the house. This would be perfect. Heat me up! I’m staying warm with new snow boots, they are fuzzy inside! Its been cold here in Norfolk, VA, but I refuse to raise the heat in the house!! Extra layers, blankets and slippers will help me save some $$, I hope!! This winter, I’ve been drinking a lot of coffee to stay warm (and awake). I also have some pretty comfy flannel pajamas to keep me warm in my apartment. HEAT ME UP! We are staying warm by wearing layers and heating our house with our wonderful fireplace insert we had installed last year. Lots of bubble baths!! It is the only way I thaw out! Snuggle time with the puppy is a great way to keep warm! HEAT ME UP! This would be so excellent as I have not been able to stay very warm this winter. Though my attempts to get warm include space heaters, fuzzy socks & slippers, and thick hooded sweatshirts while at home, and silk long underwear (the best!) and knee-high boots for commuting. HEAT ME UP! I’m 6 months pregnant so I’m pretty much a home body lately enjoying hot chocolate and heated blankets in Minneapolis! HEAT ME UP!! Staying warm has been quite an adventure this winter – I live in Savannah where the weather is typically warm, but constantly changing it’s mind, so we can have snow (like we did Christmas weekend), or it can be 70+ degrees (like it was this whole past weekend). So some nights we go to bed with no heat on, and wake up freezing because the outside temperature has dropped from 60 to 30. Craziness. Anyways, the cute little heater would be enjoyed by us & our pets!! I’ve been drinking Earl Gray tea like a mad woman and using a heating blanket when I need it! My house doesn’t have a fire place. So I need one of these bad!!! heat me up! it’s been a relatively cold winter so far in central pa. although we haven’t had much snow where i live…yet that is. i love to snuggle under a blanket on the couch. HEAT ME UP! I’m not staying particularly warm this winter, I turned my thermostat down to 65 to try to save on my electric bill but that was just too cold, now it’s at 67. Here in NC the winter has been way colder than usual. I bought a little space heater for $15 from Wal-Mart to warm small areas while I’m using them. And my 10-year-old daughter crocheted me fingerless gloves that I wear inside. (I’m so cold-natured.) All-in-all I’m ready for spring! I keep a couple blankets on the couch to wrap up with… and they of course have to match my living room decor! HEAT ME UP! – we’ve been looking at these. Our family room is on the lower level of our house and it get’s chilly in the winter. HEAT ME UP! I just bought a new coat! After a round of snowblowing, I love to come in and curl up on the couch with a blanket, book and a cup of delicious coffee!! I choose extra sweatshirts, hot chocolate and maybe an extra workout…now that those resolutions are back! Trader Joe’s Candy Cane Green tea is keeping me warm! Heat me up! We are renovating and would LOVE one of these to put somewhere in the house! Our rental house doesn’t have a fireplace, so the kids stacked our un -opened boxes and we made them into a fireplace so we would have a place to hang our stockings!! We had fun drawing on the fake bricks. It would awesome to have the real deal!! HEAT ME UP! I live in a drafty old house and one of these would be perfect! I love to cozy up in front of the tv with the hubs and some Lady Grey tea- my favorite. HEAT ME UP! I love to cuddle on my couch under my cozy throw blanket. Heat me up! We have a floor heater, which is pretty ugly on the floor of our dining room, but it heats up the whole house. Since it can get pretty toasty in the dining room, we keep the heat low and load up with warm blankets or sweatshirts.